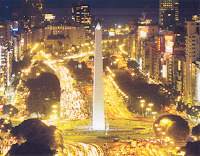 The city of Buenos Aires was founded by the Spanish conqueror Pedro de Mendoza in 1536, on the banks of the embankment where the Lezama Park is now located. Over the next 500 years, this small settlement by the river continued to grow until it became the capital city of Argentina, a metropolis where over 3 million people live. 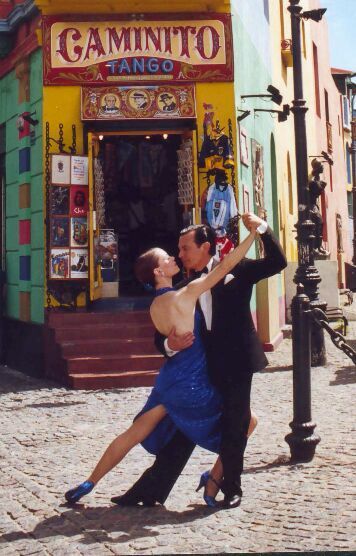 Of its many districts, the most picturesque, undoubtedly, is the neighbourhood of La Boca. A "must" stroll to taste Italian dishes, walk along the colourful pedestrian street of Caminito, and visit the Boca Juniors Club Stadium where Diego Maradona played. 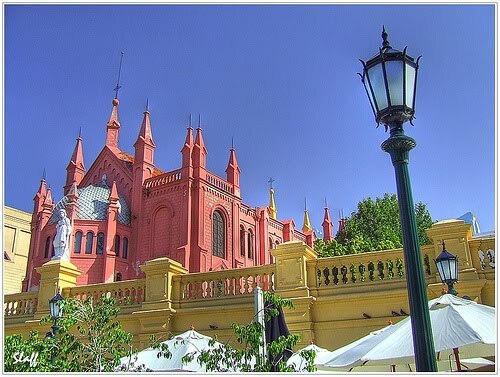 The neighbourhood of San Telmo has its roots deeply set in Buenos Aires and this is not just a coincidence, since Mendoza founded the city on the embankment here. 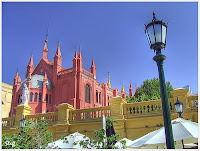 Its streets have preserved a unique architectural heritage with historical bars, "tanguerías" where diverse tango shows are performed, antiques stores, small trendy restaurants, centennial convents and the Plaza Dorrego street fair, that on every Sunday becomes the unavoidable meeting place for all travelers who might want to get to know the soul of Buenos Aires. 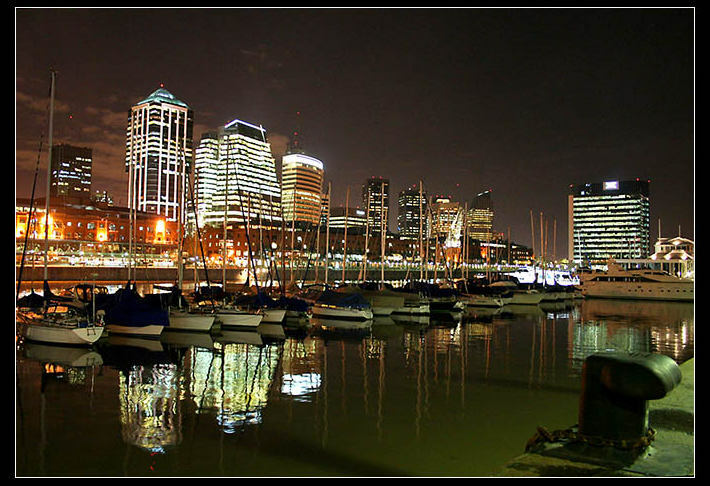 On the banks of the Río de la Plata, the old port gave away to Puerto Madero, one of the most modern districts of the city. Three luxury high rise towers have been constructed and the old docks, that had been abandoned for decades, were recycled and these days constitute one of the most interesting gastronomic districts. 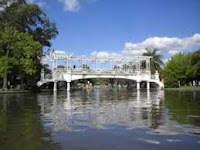 It is and ideal place to eat and the take a stroll by the river. On the river, the Ecological Reserve is a 350 hectare natural open space from where some of the most surprising panoramic views of Buenos Aires can be obtained. Plaza de Mayo is the historical center of Buenos Aires. It is here that Av. de Mayo is born, an avenue with an european spirit, that was the center stage in the lives of the inhabitants of Buenos Aires known as "porteños": the famous Tortoni Cafe, where Jorge Luis Borges used to drop by, the Castelar Hotel where the spanish poet Federico García Lorca once lived, the Barolo Palace and the 36 billiards bar known as Los 36 Billares, are some of the testimonies that are left from those times. 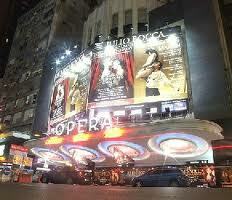 A few blocks away, Corrientes Avenue is considered the Broadway of Argentina because of its many theaters, movie theaters and bohemian cafes. 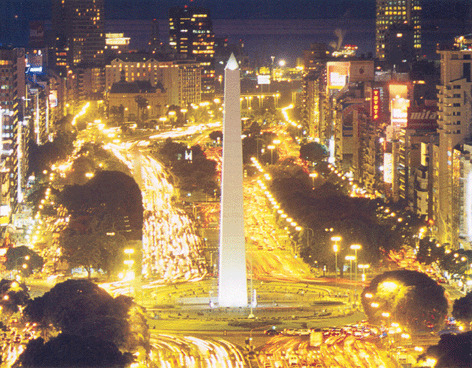 One of the famous arteries of Buenos Aires is the pedestrian Florida Street, undoubtedly a "must" place to stroll along with large commercial galleries and endless stores catering for all tastes. 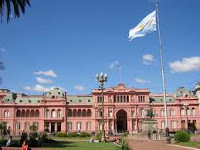 Florida crosses through the financial areas of the city, that ends in Plaza San Martín, where the only building of the city was once located, two hundred years ago. Nowadays, there are several pubs in the area, with well attended happy hours, ideal to call it a day and share beers with friends. Recoleta is the most aristocratic district of Buenos Aires, with its luxury shops along Avenida Alvear, an interesting circuit of museums, art galleries and the lordly cementery where the remains of Evita Perón and the other prominent argentine personalities rest. At night, the area is transformed and the sepulchral silence gives away to a noisy and colorful night life. Palermo used to be a neighbourhood of tango loving "tangueros" and canteens that, over t he last couple of years, has become the "state-of-the-art" district. The whole area is now highly attractive for travelers to visit: the old Palermo Viejo that still maintains the spirit of the 1930´s; Palermo Soho, with small stores of young designers as well as ethnic restaurants; Palermo Hollywood with fashionable bars whose parties overflow onto the streets and sidewalks, the gastronomic district of Las Cañitas and the green Palermo Verde, something of a city lung with its parks and lakes.